Our supplied range of hand tool boxes is widely demanded by the industries involved in manufacturing various kinds of instruments. We manufacture these boxes using quality raw material, which we source from leading vendors for assured quality. These are highly durable, easy to operate and have a fine finish. Offering tools trolley storage supplies and master tool-kits. GEDORE has complete range of Mobile tool Storage . Pl refer to PDF catalog attached herewith. 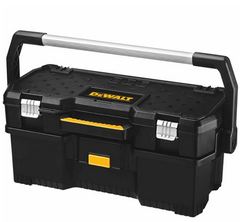 We are one of the most reliable companies in this domain and are offering Hand Tool Box. 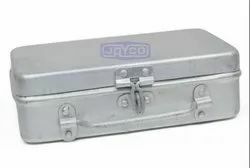 JCB Heavy Duty Tool Boxes, Size: 19"*15"*7"
Driven by excellence, we are trading and supplying Heavy Duty Technicians Case.